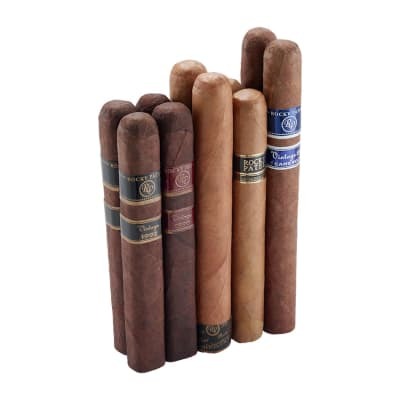 2015 was a great year for premium cigars, including many of the cigars created exclusively for us here at your favorite online cigar store by the folks who make it into the year's "Best" lists on an annual basis. 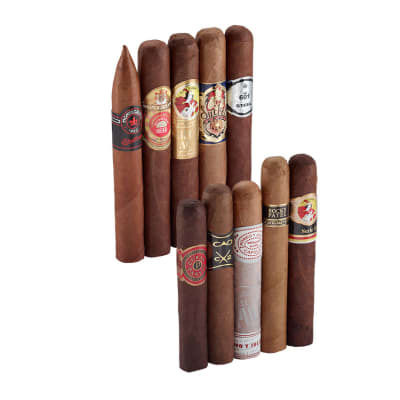 What you'll find in this sampler are 10 humidor-worthy cigars from the likes of CAO, Perdomo, Romeo y Julieta, Rocky Patel, La Gloria Cubana, and more, that run the entire range of wrapper types, shapes and strengths, not to mention the outstanding quality that sets them apart from those other "discount" cigar samplers. If you're looking for a real palate pleaser, add this winning collection to your cart now. I have really come to like the 601 steel line. This one and the robusto. 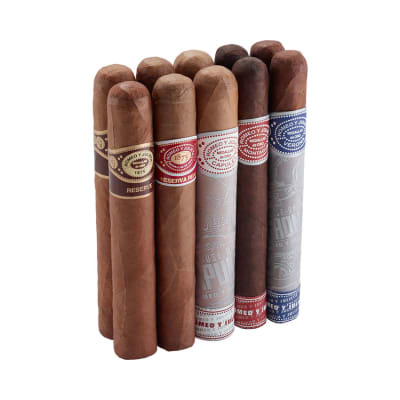 After a few 10 packs of each only a few had maybe less great draw although still average compared to many tight rolled cigars but were still quite smoke-able and good. In general they have been very reliable and just awesome draw which I like. I never hesitate to grab one of these for a smoke; the price, taste, and consistency are a real pleasure. 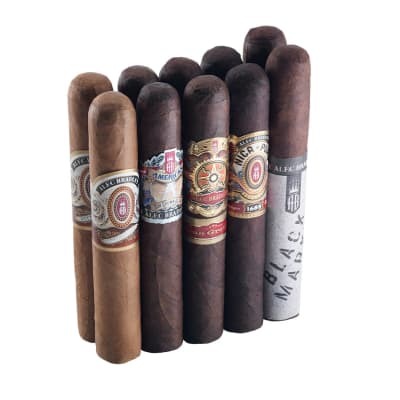 I keep exploring higher end smokes but these have become one of my baselines for comparing them all to.